Childhood is a golden phase of life, wherein fond memories are created that lasts for a lifetime. 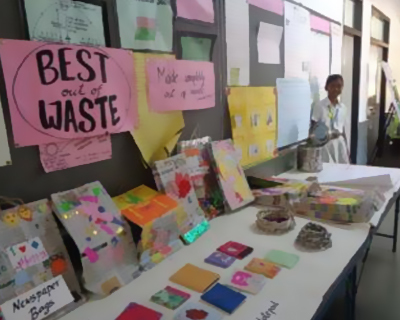 To substantiate this fact, Delhi Public School took proactive measures to celebrate the felicity of childhood and intended to create ample opportunities for them to unravel their potential and exhibit their talents to its fullest. Jash-Ne-Bachpan is a blend of music, dance and drama entwined as the expression of feelings and emotions through which an indispensable message of the rampant and the adverse impact of noise pollution was conveyed. 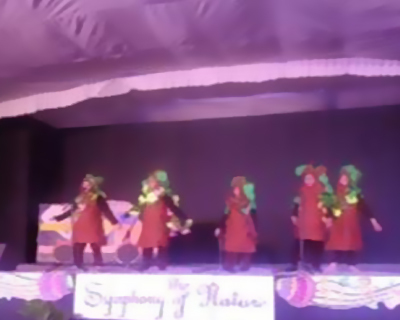 The school earmarked February 23 as a Red-letter day for the exuberant Dipsites as the thought-provoking dance drama aptly titled as No Noise Know Peace was staged at 1:00 pm by Nursery to grade I students after the presentation of the first play The Symphony of Nature. The vivacious Dipsites presented a dance drama depicting the contrast in the lifestyles of cities and villages through the extra-terrestrial Eery, who derived his energy from noise and became very powerful amidst noise and commotion and weakened with silence and tranquillity. The ambience was bedecked with decorations from the entrance through the pathway to the Open Air Theatre by aesthetic transformation of the environs. A kiosk depicting No Noise Know Peace grabbed the attention of the parents’ fraternity as each parent was presented with a badge on Noise Pollution. The day began with the exodus of parents and grandparents entered the threshold of the venue with brimming zeal and admiration, waiting to witness the dramatic prowess of their tiny tots. The striking contrast between life in cities and villages were brought out explicitly through the protagonists Arjun and his grandparents were exceptionally good. The grandparents of Arjun realised that the city life was noisy, boom, crash, creak, bang and splat with flamboyancy. In contrast, village life gently swirled around them with the perpetual ebb and flow of people, scurrying in every direction clad in simplicity, and constantly processing and regurgitating information through its winding meandering streets. To manifest the serenity of country life, the prolific poet WB Yeats not only venerated but also had a deep yearning for village life in his poem. I hear it in the deep heart’s core”. 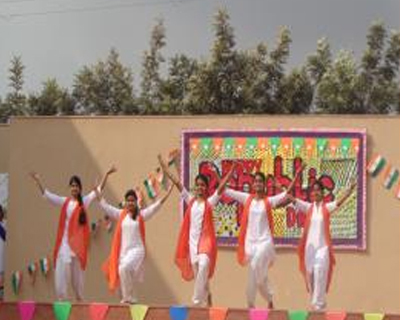 The show got underway with the students dancing spectacularly to the tune of songs performed live. 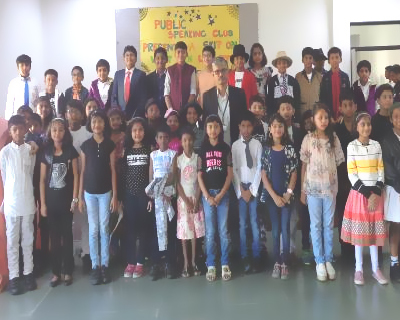 Especially these songs were written to promote our school’s annual theme 'Noise Pollution' to create awareness concerning the menacing effects of noise amongst the people and exhorted them to mitigate the blaring noise in and around their surroundings. Subsequent to this was the presentation of the school report, wherein the students gave a brief description about the various holistic activities that are done annually. The next in the list was the most awaited moment, the enactment of the dance drama on Noise Pollution which would cause a plethora of ailments for all groups of people. The designated narrators confidently marched in to describe the plot of the play. Students dressed as various animal characters strode in to the stage displaying their theatrical skills. The delivery of dialogues, expressing the feelings and emotions, and the acting done by the students did enamour the audience and they thoroughly enjoyed it. The play was made more interesting by introducing dances after every scene. Children danced gleefully to the different tunes with ecstatic heights. The most mesmerizing part was that the play was presented with live music and choir. 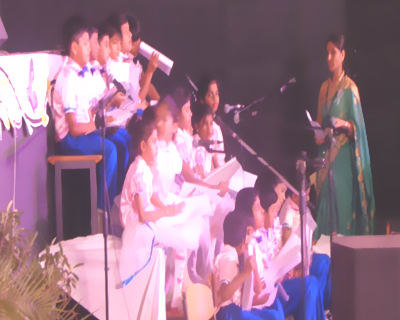 The presentation initiated with a meaningful dance on this session’s school theme ‘Noise Pollution’. The delightful and exhilarating interlace of the story was rendered by the narrators who offered all the intricate details, in-between the scenes, thus making it fascinating for the listeners to understand the play. The dances with a live choir in concert were undoubtedly an enthralling moment. The spectators were astounded to witness their tiny tots performing with such remarkable gusto. The melodious music that filled the air, the background scores appropriately planned the emphatic delivery with perfect expression, pitch and rhythm with effectiveness added exquisiteness to the scenes on the stage. As the drama unfolded with each act of the play, the keenness of the viewers also augmented and amplified. It will surely be treasured experience for all. The children will carry these beautiful sparkles etched in their reminiscences forever. The audience was definitely left with the intriguing thought that all human wisdom is contained in this phrase “Save our Mother Earth”. As a matter of fact, the dance drama emphasized to reduce the escalating noise pollution and exhorted the people to have communion with nature as our ancestors and forefathers used to live for noise-free environment for the generations to come. The Art installations placed at the entrance depicting the hazards of Noise pollution on God’s creations impressed upon the beholders as they ought to conserve the beauty and bounty of Nature. 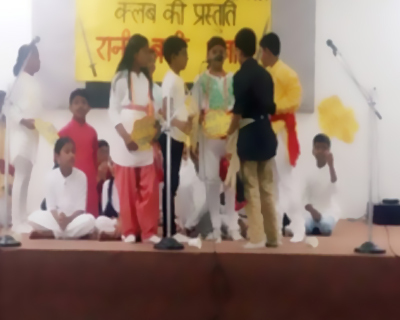 After the dramatic extravaganza, Headmaster Sir addressed the distinguished congregation in which, apart from thanking the parents and grandparents for their benign presence and patience, he insisted on the overall holistic development of children, which takes place only with a collaborative effort by parents and the school. Furthermore, he acknowledged the august assembly of parents, grandparents and well-wishers for attending the annual day function. Besides, he acknowledged the choir troupe by inviting them on the stage for singing incessantly for titivating the show. He also accentuated on the significance of education in a greater context and how our school believes in kindling the spark in each and every child so that they are adept in discovering their individuality; along with learning virtues such as discipline, team spirit, belongingness and compassion.He also stressed on the vision of the school about instilling and inculcating in children, concerns for the larger good of the society at large and nation building, which forms the basis of education according to the school. At this juncture he claimed that it gives him immense pleasure to see children blooming so gorgeously with multifaceted personality. Eventually, he reminded the entire congregation how education without character is meaningless.